My interest in townlands started right here, with this road sign in Ballymaglaff. The sign appeared in 2014. Two things were new: directions to new houses, and the townland name in red. We locals were intrigued – as you can see from the next photo. I was intrigued enough to start a blog. 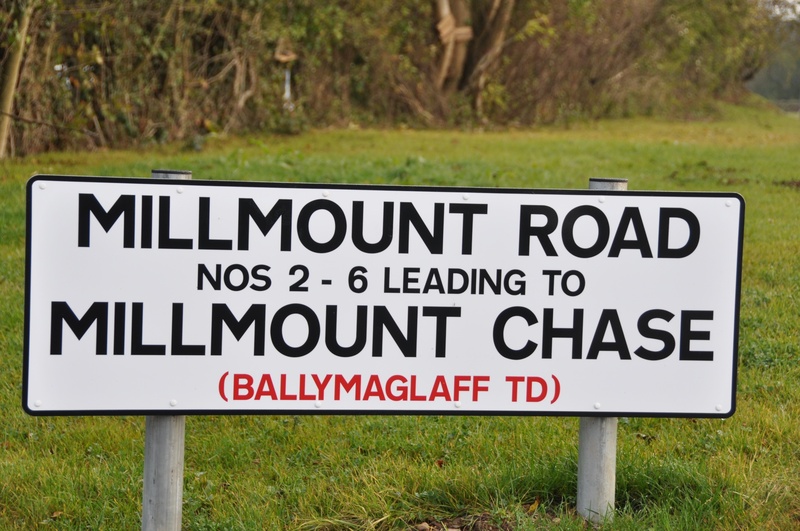 I soon discovered the PLACENAMESNI website and learned that “Ballymaglaff” is derived from the Irish Baile Mhig Laithimh, meaning “McGlave’s townland”. 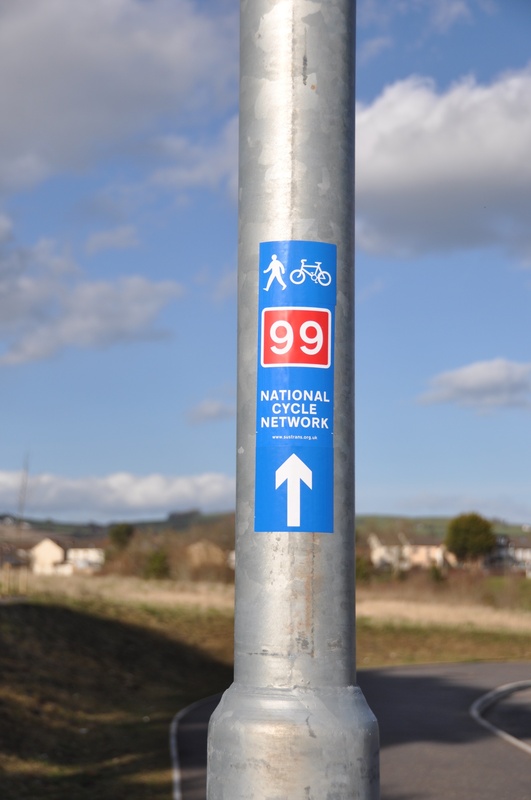 Then, as you may have seen in recent posts, I went walking on the Comber Greenway. 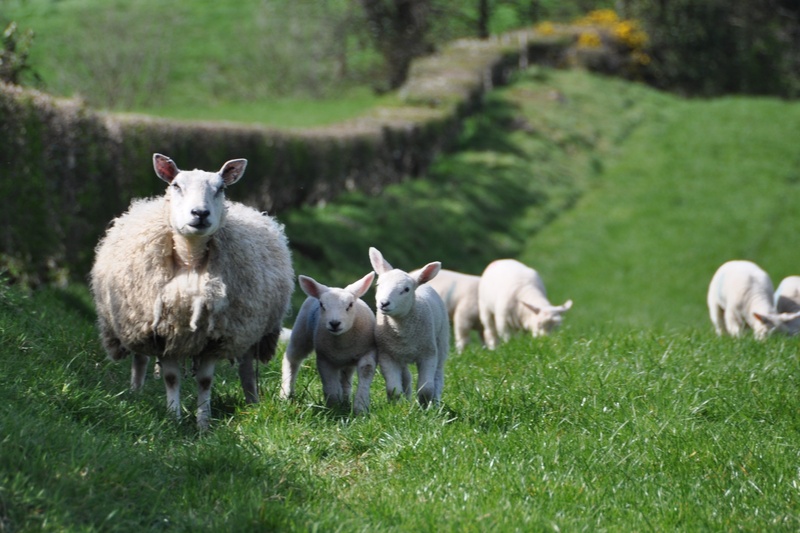 Starting from from Comber, Ballymaglaff is the fifth townland on the Greenway. 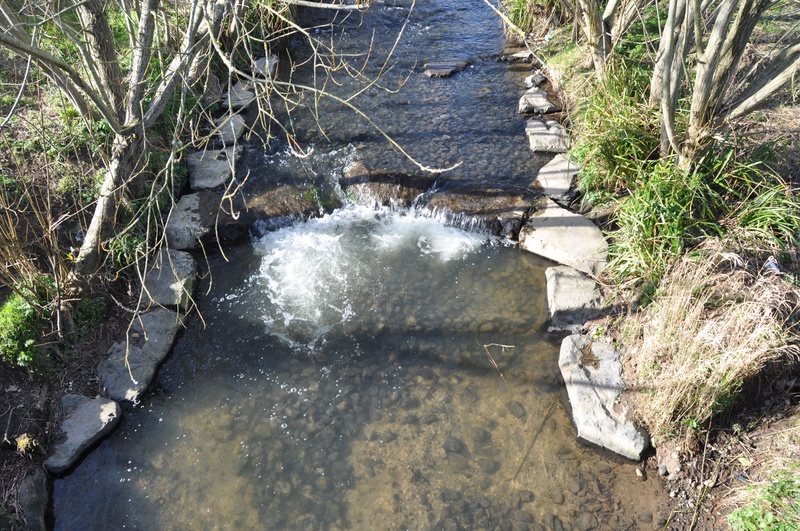 At the Billy Neill football pitches, you leave Ballyrussell and enter Ballymaglaff, with the Enler River forming the boundary with Ballylisbredan. At first things remain peacefully rural. 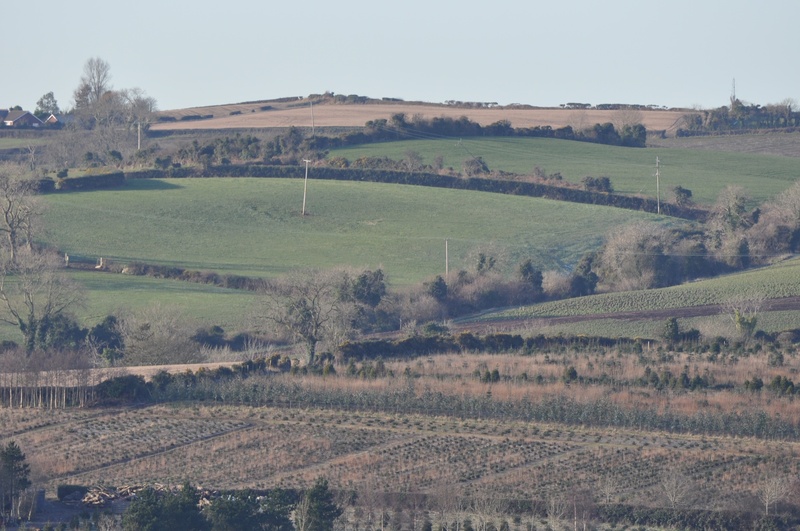 The young trees in the foreground of the next photo will one day be Christmas trees on sale from NI Farm Forestry. Then things begin to change. 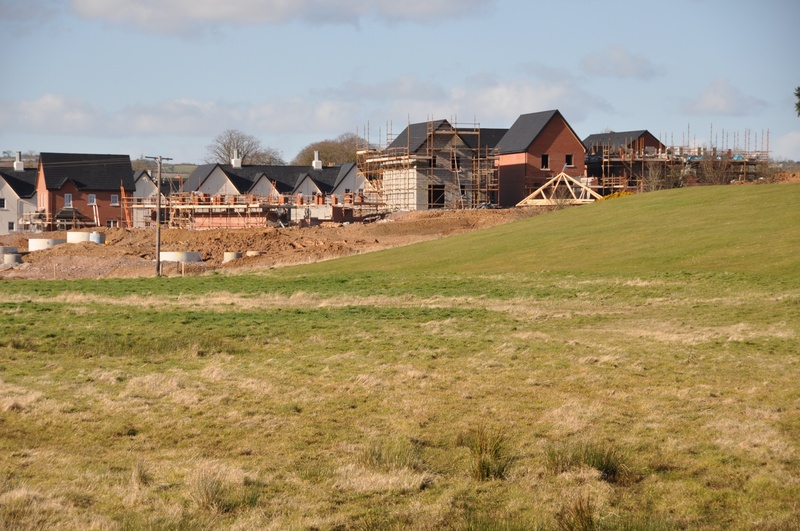 New houses are visible from the Greenway. The “Millmount Village” housing development has brought changes to the Millmount Road. The road has been widened; it now has a roundabout; and lights allow walkers and cyclists from the Greenway to cross safely. So don’t be scared by the road. 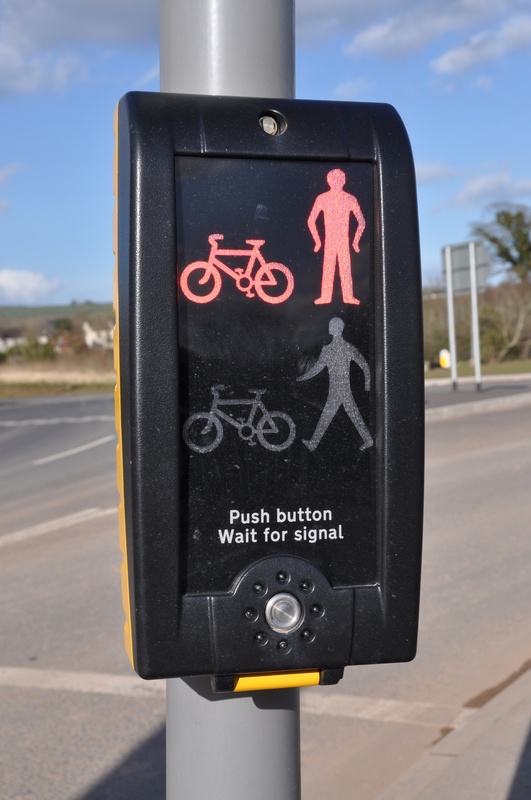 Cross at the lights, and I will see you next week for the next townland on the Greenway – Ballybeen. Had numerous things to do this morning and so far spent far too long reading your blogs!! Your pics get better and better and I love the greens – Cali is soon brown!! Keep blogging! I’m so pleased to be a distraction! No shortage of green here in the natural world. Plus I think our city hall and Parliament Buildings are going green tomorrow for St Patrick’s Day. Noted. I will find an excuse to post more lambs.